7 Ways to Save Money Online You Haven't Thought Of Yet! Shopping online is the new thing to do! You never have to leave your house and you can shop until your heart’s content. The only bad thing is that you may not always know how to save money online. Just like you look for the best deal when you’re in the store, you can look for the best deal when you’re online and Navy Federal Credit Union wants to help. 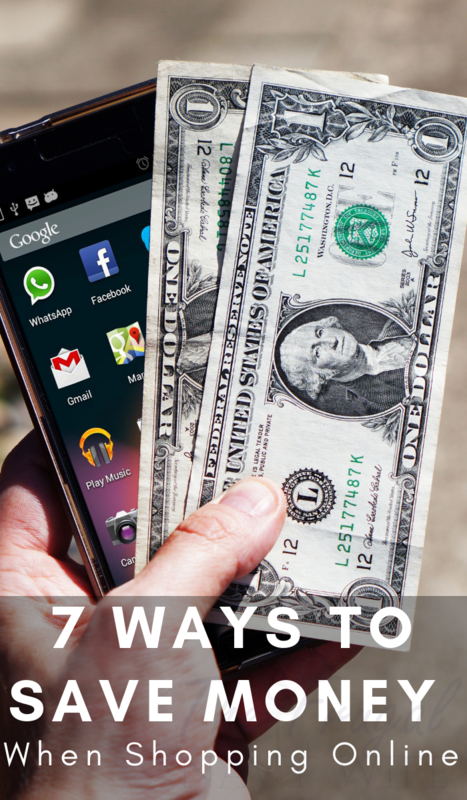 Here are 7 ways to save money online. When it comes to looking online for the best deal, you really do have to look around. Thankfully, there are websites to help you with this! RetailMeNot.com and LivingSocial.com are both websites that are full of money saving deals! Always, always, always look for the best deals before you hit that purchase button. While shopping online, it’s important to make sure your financial information stays safe. Make it a habit to monitor your accounts regularly and report any suspicious activity immediately. If you’re a Navy Federal member, your debit and credit cards are protected by a Zero Liability Policy and if there’s confirmed fraud on your account, you won’t be held liable. Not a Navy Federal member? Confirm you eligibility and Become a Member today. You should never buy anything online without looking for a coupon code first. A coupon code is the best way to save money these days! Most websites have some sort of deal going on, so don’t be shy about looking. If you like paying full price for items, then go ahead and shop without a coupon code. However, these companies know how their customers work and there is most likely always a coupon code. If you really want to save money online, then you have to take it a step further. Sign up for the money saving emails. Almost every company out there has an email sign up. Always use a junk email, so the important email account isn’t clogged. Every day, you can see the specials from the companies you’ve signed up for. By doing this, you’ll never pay full price again! Most places will allow you to double up on coupons, which means more money in your pocket. Use coupon codes plus free shipping codes! If the place will let you double stack coupons, then go for it! You can even stack the coupons with the item being on sale! Did you know a lot of places you can shop online and then pick it up instore? It’s true! Shop online, use the coupon codes, and then go pick it up in store. This way you don’t have to pay for shipping, you don’t have to wait online, and you can get on about your day. Plus, my favorite part is that someone shops for me. You have probably heard of this tip before. However, when you see something you really want, don’t buy it. Wait 24 hours and then buy it! This will ensure you don’t become compulsive with buying things online. Waiting 24 hours will help prevent you from buying lots and lots of expensive stuff. Now that you know how to save money online, it’s important to stay safe while you’re shopping online. See all the ways you could earn and save with Navy Federal Credit Union.